What is it about the big ‘0’ that has such a hold over us? Round numbers have a magic that a ‘7’ can only envy. Anniversaries, birthdays, turnover, profit, runs, wickets (I think, I don’t play cricket) and speeches all have an allure in their round-numbers that we don’t quite understand. Setting targets, meeting targets, or just living all has extra significance in round numbers. In fairness, there are other numbers that also have a magic to them: 25, for example, and perhaps 7. All of which is a roundabout and performance management way of saying I passed a milestone last night. I delivered my 10th Toastmasters' speech and completed my Competent Leader manual. I don’t feel any more competent than I did yesterday, but that’s missing the point. Although I wasn’t 100% happy with my speech, I am certainly a better speaker today than I was before I delivered my first speech. Which is the whole point – pushing me to deliver 10 speeches gave me the practice and exposure I needed to improve my skills. And 10 is a nice round number to aim for. It is arguable whether doing 12 speeches might not have made me an even more Competent Leader, but the Power of Round Numbers won out and 10 speeches are in the manual. What hit me this morning as I was still going over all the things I could have done better, was that hitting that milestone was important. Not important because it has finished something, but important because it allows me to step back and evaluate my progress. So often that’s what targets are all about. Phases of a project, or interim steps to a larger goal are designed to allow a pause for evaluation of what’s going right and what’s going wrong. So whilst I expected to impress myself and everyone else with how I put Barack Obama’s speaking skills to shame, what I found was a milestone that forced me to look at where I thought I would be, and where I actually am. And then figure out what I’m going to do about it. Barack Obama isn’t safe yet, but it may take a few more than 10 speeches to reach his standard. Round numbers have an undeniable power that is worth being aware of. Setting targets or performance management and measurement can all make use of the added magic they bring. It goes without saying that any number, round or otherwise, forces you to quantify your target. Quantifying targets is an absolute basic in improving performance; not always easy, but always effective. So one target met, and the next one to aim for. Isn’t it always the way? And a big thank you to everyone who voted that ribbon my way last night. You have done well. Do we need though to measure achievements? I would honestly say well done as you have progressed and in a new place which is fab. 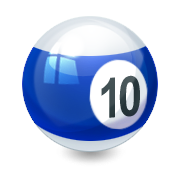 I do however have to confess to setting all objectives for my team in the power of ten so for teams, the business it is today the power of ten that matters. To address your first point, I do think some achievements need to be both measured and celebrated. Not everything, obviously, but the important stuff that makes a difference to the individual and/or the organisation. I don't doubt you have some evenings out included in your plans when your team meets and exceeds their targets! I would like to hear one of your speeches. When are you going to record one and share it on your blog? Thanks Will! Will think (probably for quite a long time) about your sharing suggestion!!!!! !